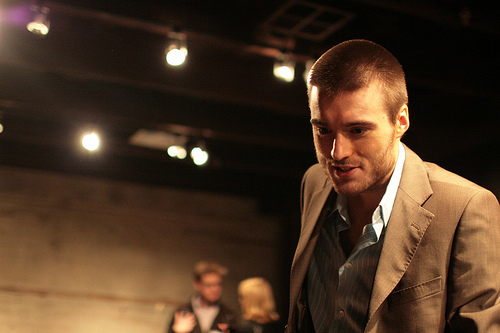 I love Pete Cashmore and what he has built at Mashable. He is said to be worth $95 million, rumours circulated sometime ago that CNN wanted to purchase Mashable for $200 million. He has been listed on Time’s 2012 list of 100 most influential people and also on Forbes “30 Under 30” what more can you ask for. Pete is a Scottish blogger, and founder and CEO of the popular blog Mashable. Most young internet savvy people are regular visitors of the site, which Pete only started when he was 19. The blog simply post contents on developments in the fields of the internet, gadgets and computer technology with a monthly web visitors of 20 million. Interestingly, Mashable started out of Pete Cashmore’s bedroom in Scotland fresh out of high school and he was only 19. He said he wanted to create something which could “make a difference” and which he was passionate about. He decided in 2005 to write about the tech and web industry from an outsiders perspective in language people will easily understand and relate with. Even though people laughed at the idea of him writing from miles away from the action (Writing from Scotland on things happening in Silicon Valley) and this later turned to his advantage. He started out on WordPress, as a one writer blog but he had the believe that it will be great for one to have a business from what one enjoys. Then 9 months into the business, a company came to request to sponsor the blog for $3000 a month, what a breakthrough for Pete Cashmore. Mashable is one of the very few companies that has never been reported to have raised any money from investors,which is absolutely awesome. Mashable now employs more than 60 people and is one of the biggest and most profitable blogs in the world by generating the majority of its revenue from display advertising. NOTE TO SELF: Start a business off what I love doing. If there is any lesson to be taken away from this, is that one can always be success in any choosen endeavour, negatives will always come, but your ability to stick with your idea will see you through. Also, make a business of something you love doing. Building of His $200 Million Blog | CreativityTurf | A Space to Share Ideas & Innovation. Is it just me or does it look like a few of these comments come across as if they are written by brain dead folks? Could you make a list of every one of all your social community pages like your Facebook page, twitter feed, or linkedin profile?